> What is this amplifier doing, exactly? 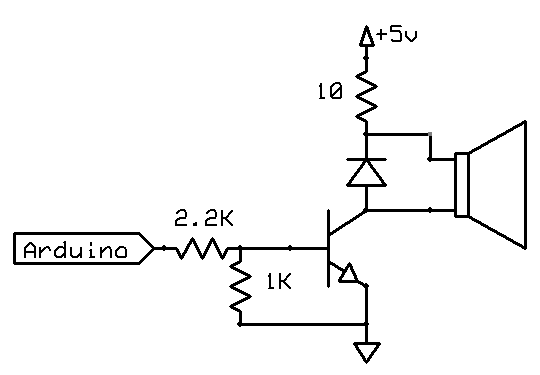 Re: What is this amplifier doing, exactly? I presume I put the + side on the Arduino side? That's the more positive side of it, right? Did you mean to replace the 1K with 100 ohm between base and ground? not have any dc-currents through the speaker. on the base to gnd, eg go back to the 100K. The Arduino Gnd pin, so there was a bit of a cable run. I moved it to next to the emitter, but no real change on the display. Wired one up to my iPhone and those old speakers. Quite nice sound out of it. So you might go back to tying the emitter to gnd, and use a 10K in series with the 220 uF cap on the base. Nah, that just killed the sound altogether (the 10K resistor). Your question on the 10 ohm resistor was good. It is exactly for current limiting. Remember the 6-8 ohm speaker is an impedance (Xl = 2*pi*f*l) usually measured at 1000 HZ. So with no ac signal, the dc value of that speaker is basically a short circuit. into its linear region of operation, but you'll never get that with the ckt as shown. Advice - throw this ckt away, use something better. Sure it's Class A. 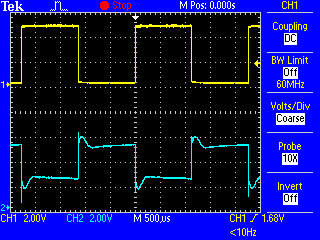 Class A is defined as bias current flowing all the time. Class A doesn't HAVE to also be "linear". And, given the choice of Class A, Class AB, Class B, Class C or Class D, what would YOU call it? The emitter resistor isn't really needed because the bias-stabilizing negative feedback comes from the fact that the top base resistor is connected to the COLLECTOR and not to VCC. I agree though, that circuit is better off in the trash can! 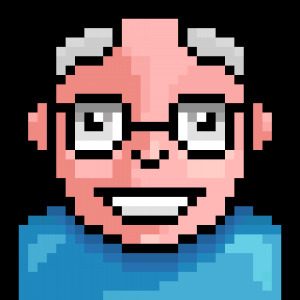 This is the speaker. I am quite happy with them. For a tiny speaker amp, why not an LM-386? Here's my 300 watts per channel Class-D power amplifier (300W into 4 ohms, 150W into 8 ohms and 50V output swing +50/-50). Bwahahaaa!!! Very nice - but will it give Tone outputs that nice warm Tube sound? I don't know what works best from 5000 miles away, so you have to play with values, :-). the speaker. With these in place, you can remove the 10 ohm R from the speaker line. And you're right, I overlooked that the upper base R is really connected for "self-biasing"
and not normal Class A linear operation, which brought the comment about an emitter R.
is the way to get real gain stability. the speaker using a really big cap, as previously mentioned. So, would Nick's ckt as is be a Class C? If the device (tube or transistor) operates into 'cutoff', it will meet the class C fingerprint. It's really just acting like a switch. I'd hazard to say you could call it a class 'D' amplifier, but even that would not be right. Class 'C' would, I guess, be closest. Edit: On second thought, no, it's not a class 'C'. It's just a switch. It gets driven between saturation and cut-off and is not linear in any way. For lack of a proper name, we could call it a class 'S' amplifier. I replaced the speaker with a 10R resistor, just in case I damaged it. With the input grounded the current flow was virtually zero. With the input at 5V the current flow was 100 mA (which seems to be the limit for the BC546 if the value for "Collector Current (DC)" is the correct one to look at (absolute maximum ratings, heh). Replacing the 2.2K resistor with 100R gives a higher current (160 mA) but I guess the transistor won't be liking that, huh? The capacitor doesn't seem to make much difference. With no input voltage, the transistor won't turn on, and current won't flow, whether or not it's there, am I right? 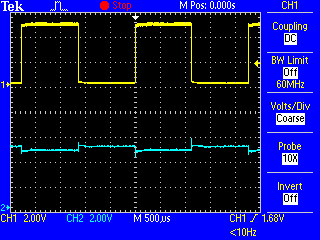 I measured 1.8 mA current drawn from the Arduino (input) when on, so that would seem to be well within the limits of a digital output pin. So as a simple "square wave" amplifier (or indeed digital switch) are there any problems with the above circuit? Arduino I/O pin will always be low 100% of the time when not using the amp? An amplifier in which the bias on the control element is appreciably greater than the cutoff valve, so that the output current in each device is zero when no alternating control signal is applied, and flows for appreciably less than half of each cycle when an alternating control signal is applied. A transistor amplifier in which each transistor is in its active region for significantly less than half the signal cycle.